Leaders from neighborhoods throughout the Chicago region agree that more state transportation dollars should be spent on biking and walking projects. Active Trans has called upon the next Illinois governor and general assembly to commit to spending a fair share of state transportation dollars for a new, dedicated Bike Walk Fund of $50 million per year, which is only about 2 percent of transportation capital spending at the Illinois Department of Transportation (IDOT). Currently, the state spends very little of its own money on biking and walking projects that promote healthy, sustainable and equitable communities. Add your name to our petition to the next governor and state assembly. Contact robert@activetrans.org if you work with a community-based organization interested in supporting dedicated funding for biking and walking. This fund should be used for new biking and walking projects on corridors where the most crashes occur, many of which are in low-income communities and communities of color. Historically disinvested communities with the greatest barriers to biking and walking must be prioritized with any new funding. Grow Greater Englewood is a local champion for the Englewood Line, a new biking and walking route along a former railroad embankment between 58th and 59th Streets from Wallace to Hoyne avenues. The Community and Neighborhood Improvement Project is working to improve access to the Major Taylor Trail on the South Side. 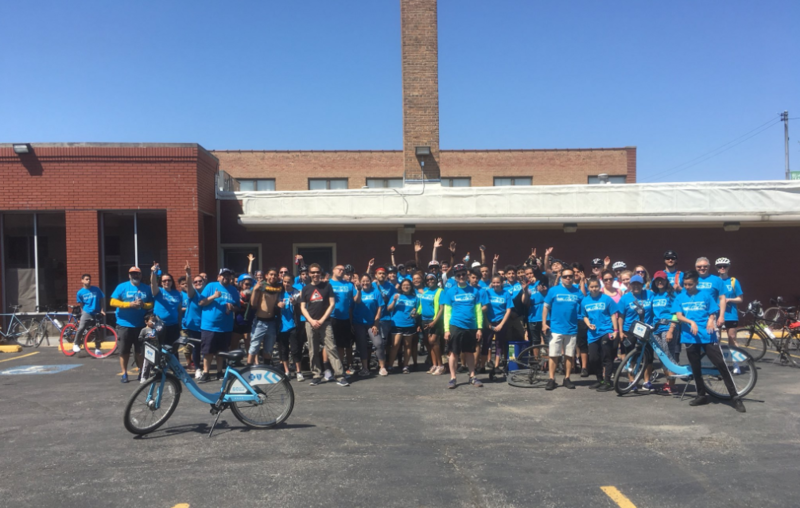 The Northwest Side Housing Center is pushing for a safe and connected network of biking routes in Chicago’s Belmont Cragin neighborhood. These projects and many others could benefit from a state fund dedicated for biking and walking projects in high-need areas. Show your support by contacting the governor and general assembly today.